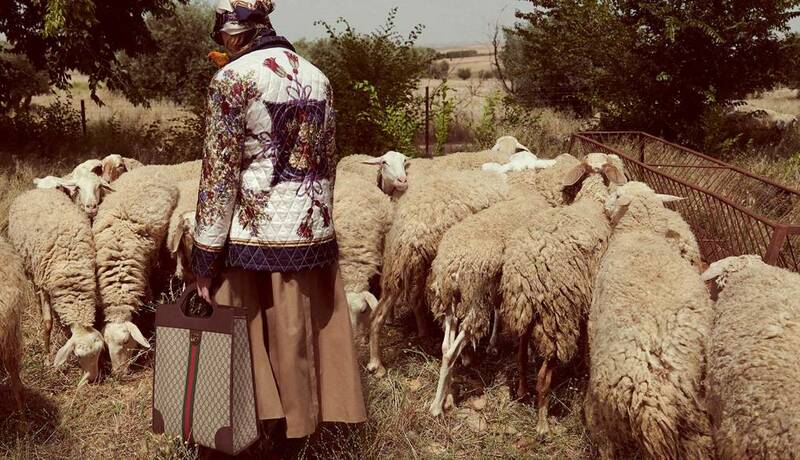 Gucci's Alessandro Michele presents his take on the Biblical Noah's Ark, and presents a Gucci-fied version for it as the 2019 Cruise Campaign. 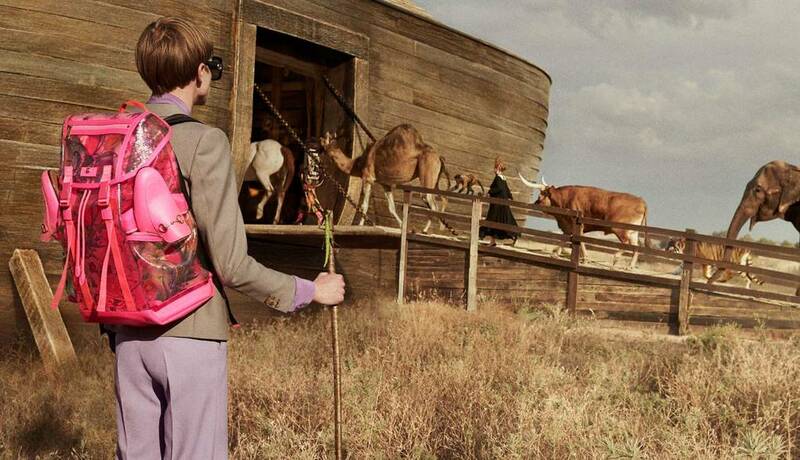 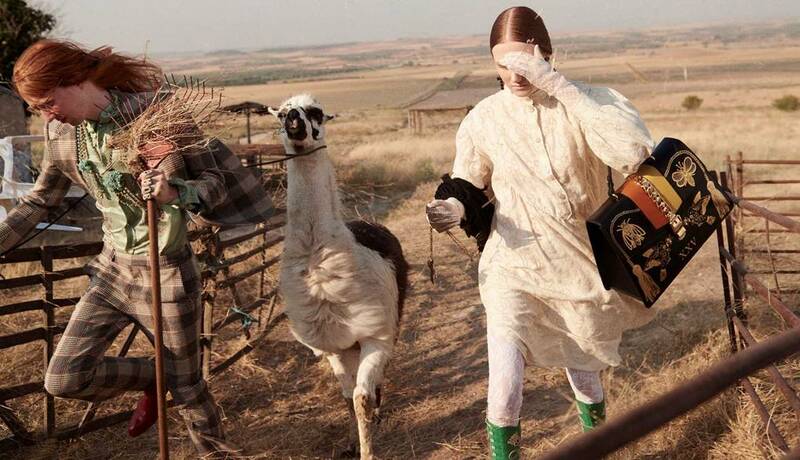 Photographed by the noted Glen Luchford, the campaign depicts a community of fashionably clad rural community which co-exists in harmony with all kinds of animals. 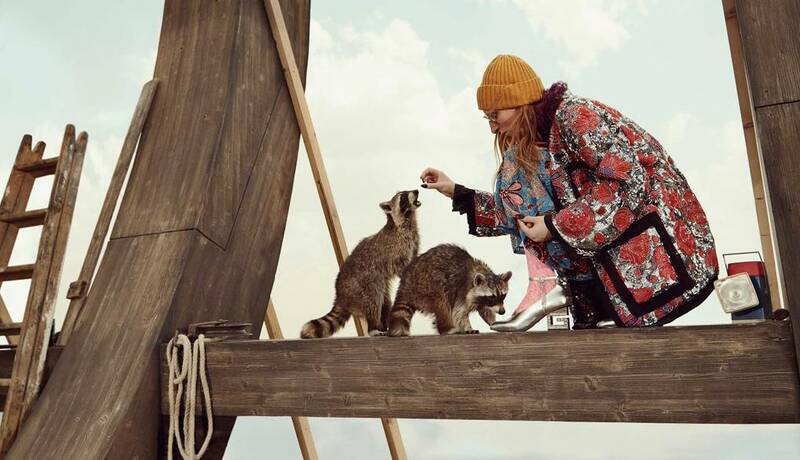 Models have tea with a deer aboard a giant wooden ark, while monkeys, raccoons, owls, calves, rabbits and hens roam about. 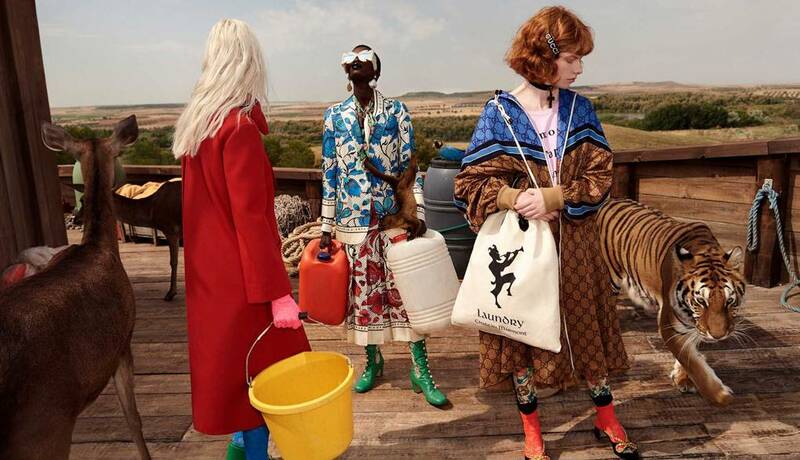 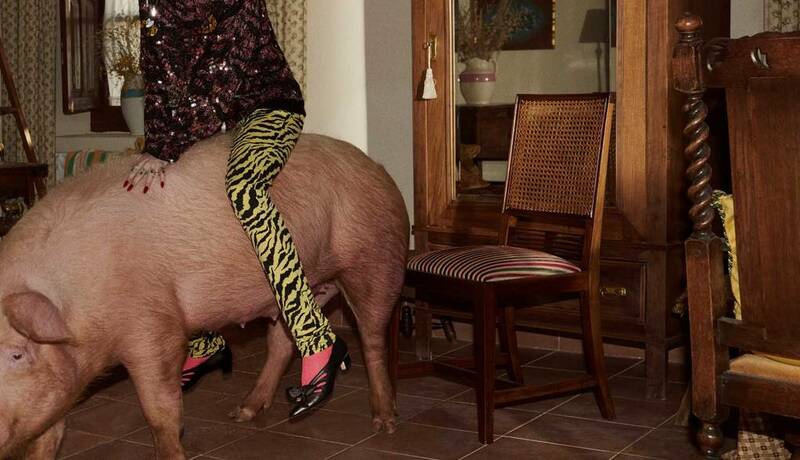 Another image has the model clad in neon tights with a pink fur coat and rollers in her hair as she milks a cow, and has a glamorous maroon Gucci handbag beside her. 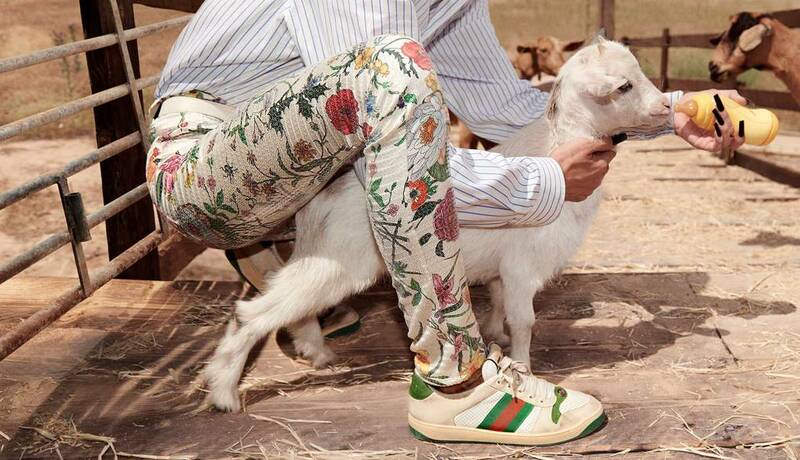 The Gucci Cruise 2019 Campaign also gives a glance at the collection which includes suits, embellished knits, animal prints and neon hues and the ever glamorous Gucci accessories which include studded sneakers, lavish head wear, statement jewellery and bold and gorgeous bags. 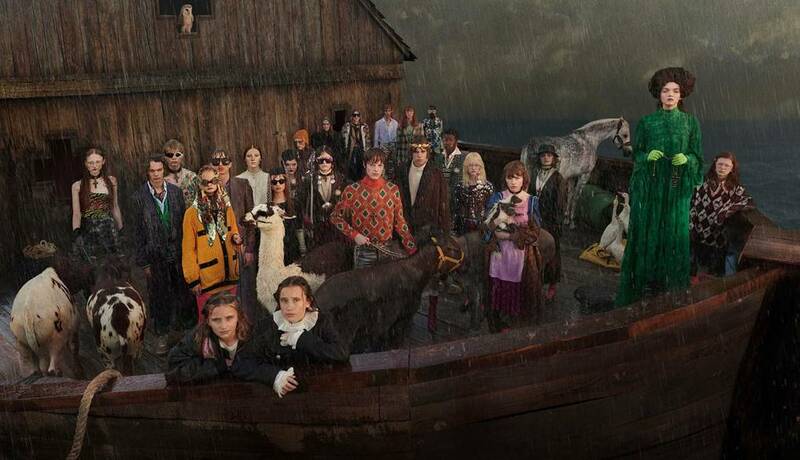 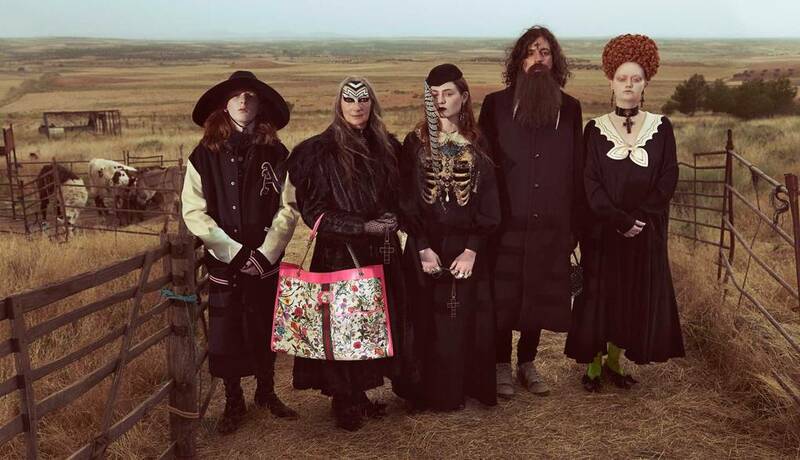 Glen Luchford also depicts the tale in a short video advert which has the Gucci clad 'farmer's community' and the animals boarding the ark and beginning their journey as rain showers and the God sent storm hits them.